Seiko goes back in time to bring back Japanese diver timepieces back, called the Seiko Prospex Turtle Series, specifically the Ref. SRPD11. 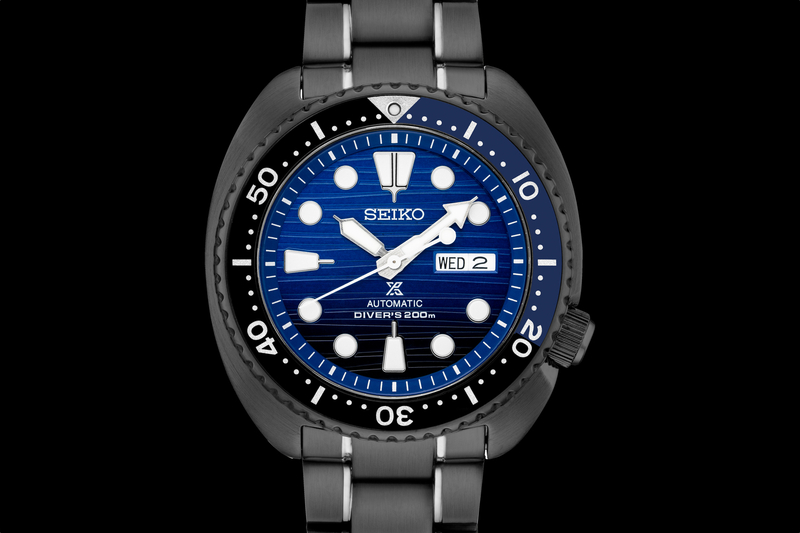 It features a rotating bezel, including five indication of the diver’s marking set within a black with blue shading tone. The selection of colour gives the watch a touch of luxury to it. Its oversized “turtle” style shape is somewhat special as it’s the only series in Seiko’s lineup to offer this feature. Apart from that, it also features a new 45mm matte black Ion stainless steel case and bracelet, with what appears to be polished silver contrasting accents on the centre of the links. Speaking of its movement, the watch is powered by an 4R36 automatic movement known for its accuracy. Furthermore it features a 3Hz manual winding capability and a 41-hour power reserve. Unquestionably, it is the ideal blend of function and fashion. From a formal event to a scuba diving trip, this watch has got you where ever you go. Don’t forget its price though, for a diving watch offering this much features, it’s rather reasonable. The Seiko Prospex Turtle Ref. 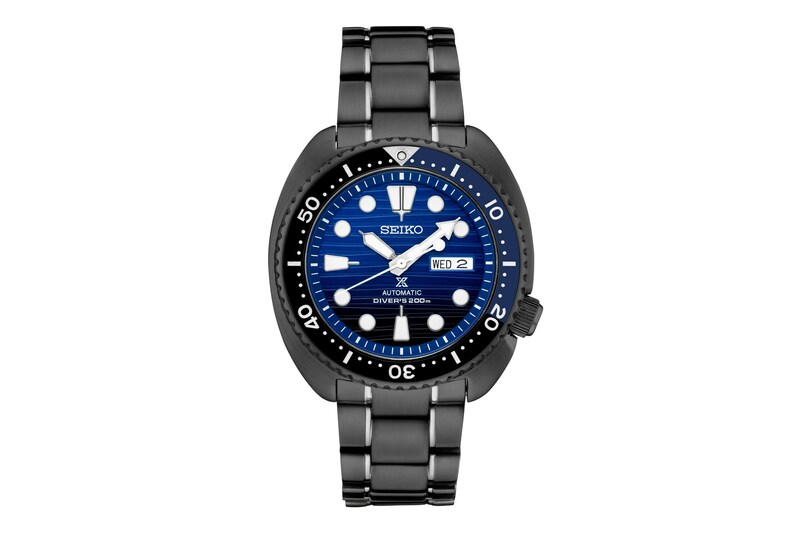 SRPD11 is Retailing at USD575 (approx RM2,355) and is accessible at all Seiko’s authorised dealers.